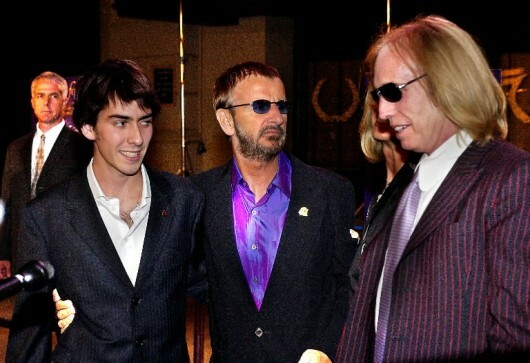 In 1980, during the recording of the Tom Petty & The Heartbreakers album “Hard Promises“, Petty was looking forward to meeting John Lennon, who was scheduled to be in the same studio at the same time as him. The meeting never happened and of course Lennon was murdered on December 8, 1980. 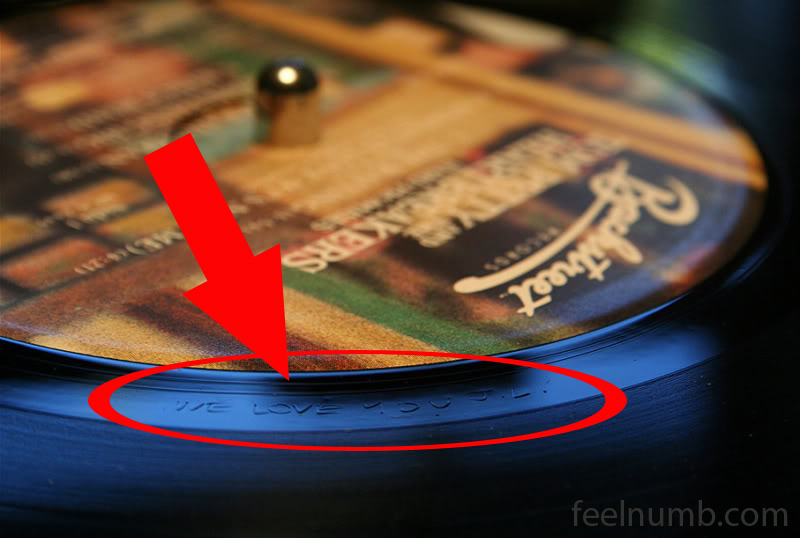 In order to pay tribute to Lennon, the band decided to etch “WE LOVE YOU J.L.” on the master copy of the album which was released on May 5, 1981. To this day “WE LOVE YOU J.L.” is still etched on every “Hard Promises” vinyl copy pressed. 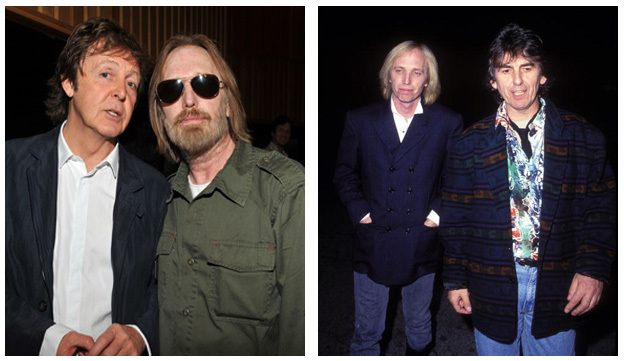 Although he never met John, here is Tom Petty with every other Beatle including George Harrison with whom he was in the super-group The Traveling Wilburys.